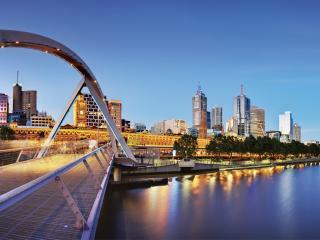 Australia's second most populous city, Melbourne is a cosmopolitan food, art, culture, shopping and entertainment capital. Ranked in the top 3 of the World's Most Liveable City, Melbourne offers a wide range of accommodation options easily accessed by the city's convenient tram system. 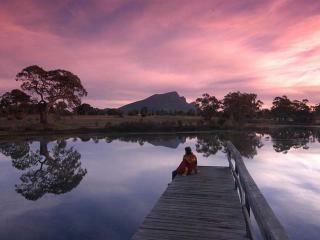 Running from the South Australian border into western Victoria, the Grampians are a collection of sandstone mountains home to rivers, lakes, waterfalls and mountainous forest. One of the state’s most amazing natural attractions, the 160,000 ha national park offers a range of accommodation from Halls Gap to Hamilton and the town of Horsham. Running from Victoria's coastline in Geelong all the way to Nelson in the west and the South Australian boarder, the Great Ocean Road is Australia's most scenic drive and is a major tourist attraction. 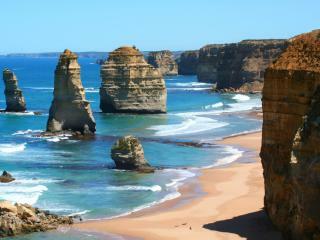 The wide range of Great Ocean Road accommodation is ideal for spending time exploring the coastal towns. Victoria's Bays and Mornington Peninsula offer a great range of relaxing holiday accommodation featuring family friendly attractions, beachfront towns, Port Phillip Bay, coastal surfing hot spots as well as fantastic food and wine at the surrounding cafes, restaurants and wineries. Phillip Island accommodation is extremely popular during the world famous motorcycle and touring car racing circuits each year however Phillip Island is also a popular holiday destination year round for those wanting to see the Fairy Penguin colony and Australia's largest seal colony. The lush hinterland of the Dandenong Ranges and Yarra Valley offer a unique accommodation experience amid the towering timber, eucalypt and mountain ash forests. 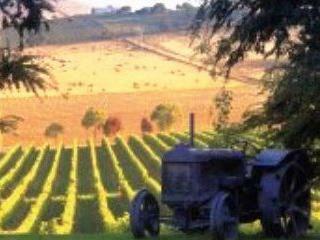 Home to the largest flowering tree in the world, the Yarra Valley is also one of Victoria's most renowned wine regions. Located just over 3 hours northeast of Melbourne, Albury Wodonga is situated on the banks of the Murray River and offers all the charm of country life with the convenience of a modern city. Renowned for its heritage buildings and cultural events, Albury Wodonga accommodation is close to popular attractions including the towns fantastic food and wine and iconic paddle steamers. One of the state’s most famous gold rush towns, Ballarat is an interesting town steeping in the history of the Eureka Stockade. 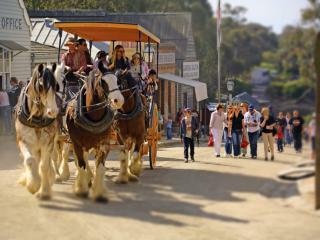 Home to the famous outdoor living museum Sovereign Hill, Ballarat accommodation is central to the town’s historical buildings, shopping, dining and attractions including the Blood on the Southern Cross sound and light spectacular. Often referred to as ‘spa country’, Daylesford is just over an hour northwest of Melbourne is a premier pamper destination nestled in the foothills of the Great Diving Range. Daylesford accommodation offers and indulgent range of hotels, resorts and retreats as well as more than 30 spas, healing centres, wellness retreats and 72 mineral springs. Officially known as Echuca Moama, this heritage town is situated just under 3 hours north of Melbourne on the banks of the Murray River. 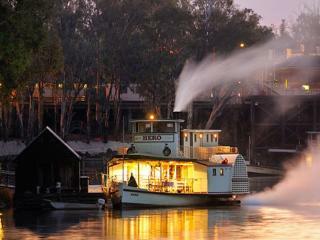 One of the state’s oldest river towns, Echuca accommodation is close to popular local attractions including the old port precinct, Discovery Centre and authentic paddle steamer cruises. Often known as ‘High Country’, Falls Creek is a scenic alpine region just under 4 hours northeast of Melbourne known for its ski slopes including Mt Buller and Mt Hotham. Particularly popular during ski season from June to October, Falls Creek accommodation is concentrated on ski resorts and offer an excellent range of winter sports. Located just over an hour northwest of Melbourne, Hepburn Springs is situated at the foot of the Great Dividing Range and is renowned as a mineral springs and luxury day spa hotspot. Hepburn Springs accommodation is designed to offer a relaxing and indulgent experience while the region itself is home to the largest concentration of mineral springs in the country. Situated on the banks of the Murray River, Mildura is known for its big skies and rich earth and enjoys a Mediterranean climate ideal for is local produce of fruit, veg and respected wines. Home to a fascinating history and breathtaking natural attractions, Mildura accommodation is close to Mungo National Park, rugged outback and significant Indigenous sites. Known as the ‘food bowl’ of Australia, Swam Hill is situated on the banks of the Murray River which feeds the region’s fertile fruit and veg growing land. 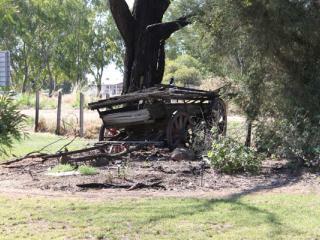 A picturesque pioneer town, Swan Hill accommodation is close to stunning parklands and state forest, fishing and boating opportunities and fantastic food and wine.